That is a seven year old severely autistic boy, writing words. 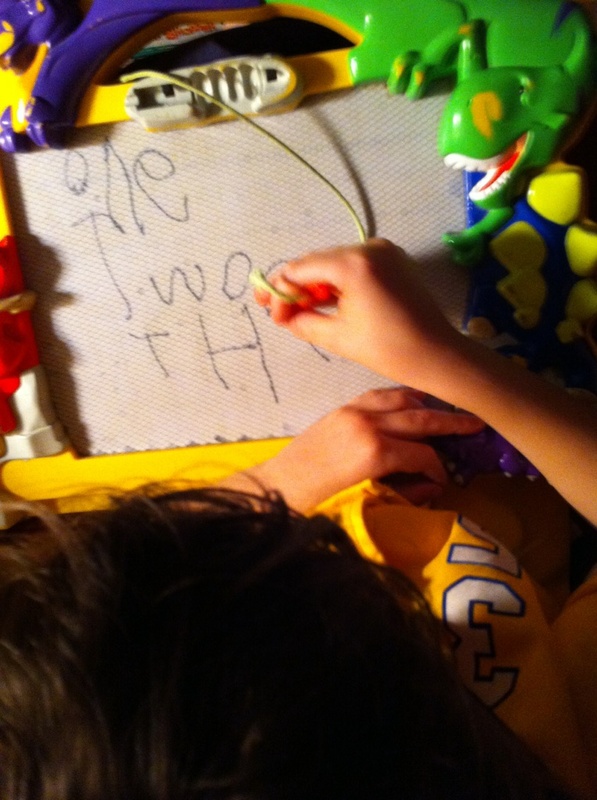 Last night I taught him to spell his little sister's name, and he smiled and laughed. Then, he looked at her, erased her name and wrote a new word. I think everything just changed. I am so excited for all of you.